Bio Life Haus Sdn Bhd was established in year 2013 and has officially launched the region’s first scientific eCommunity in January 2016. We aim to engage and bridge people from the science community, backed with more than 10 year’s experiences in related industries. 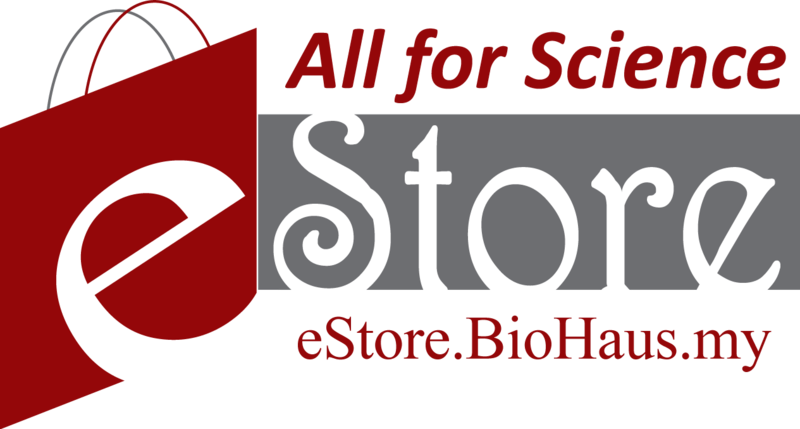 estore.biohaus.my is built to provide a place where people can come to find and discover any science related products and services. At the same time, serve as marketing opportunities for advertisers to connect their business with the scientific community from various industries. 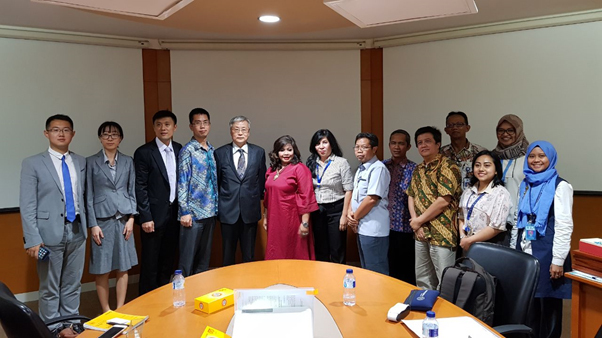 Jakarta, October 25th, 2017, the Chinese delegation headed by the Deputy Director General of the China Science and Technology Exchange Center (CSTEC), under supervision of the Chinese Ministry of Science and Technology (MoST) – Mr. Ge Pu conducted a working visit to the Ministry of Research Technology and Higher Education (MoRTHE). He was accompanied by Mr. Zhang Nan, Acting Director for Asian, Ms. Yu Qianwen, Project officer, Mr. Chen Yuheng, interpreter and a personal assistant, Mr Liu, the Chinese Embassy. While Indonesian delegates chaired by Nada Marsudi, Head Bureau of Cooperation and Public Communication – MoRTHE. Attending the meeting also representatives from some universities, ie Dr. Edwan Kardena (ITB), Mr. Amir UGM), Mr Sudi and Ms Dewi (BATAN), Mafaza (LIPI), Annisa Pranowo, Supriyadi, and Baginda (MoRTHE). During the meeting, Nada Marsudi explained on the chronology of Indonesia and People Republic of China (PR China) bilateral relation, when both Countries initiated to strengthen the cooperation in Science and Technology, by signing the Indonesian and Chinese MoU on ST on 2011. Since then, many activities have been done, including the 1st Indonesian and Chinese Science and Technology Exhibition that was conducted in Jakarta on the same year, 2011. Nada also appreciated the great cooperation of colleagues from MoST PR China and the Chinese Embassy, for their excellent cooperation from the 1st up to the 5th Indonesia and China Session of the Joint Committee on Scientific and Technological Cooperation (JCSTC) meetings. This meetings were conducted reciprocally both in Indonesia and Beijing from the period of 2011 – 2017. The last meeting was the 5th Session of the Indonesia China JSTC meeting, which was held in Beijing, 28th-29th, 2017. Topics that were discussed covering (i) The Joint Laboratory on High Temperature Gas-cooled Reactor, (ii) The Joint Laboratory on Biotechnology, (iii) The China-Indonesia Technology Transfer Center, (iv) The Scientist Exchange Programs – which is followed up by CSTEC. There were also two additional new initiatives that were proposed by Indonesia are (a) a joint research center on port construction and disaster controlling – proporsed by ITB, as well as (b) Science Technology Park (STP) development by the Indonesian MoRTHE. Moreover, Nada also shared the information that the Indonesian MoRTHE will assist the Indonesian Coordinating Ministry for Human Development and Cultural Affairs for conducting the 3rd High Level Meeting of the People-to-People Exchange Mechanism (P2EM) in Jakarta, Solo, Yogyakarta on November 26th – 29th, 2017. Especially on Science, Technology and Higher Education (STHE) issues, there will be the Indonesia China Scientific Forum on Science and Technology, which is hoped to be conducted on November 27th,2017 at the Ministry premises. This will be an excellent forum for reporting and evaluating all of the Indonesian and Chinese bilateral cooperation on STHE. Mr. Ge Pu, then explained on the Talented Young Scientist Program (TYSP). This is the Chinese Government’s International mobility scheme, with the purpose to cultivate the science and technology personalities together with other developing Countries. In the case for young Indonesian scientists, this program could be utilized for expanding the bilateral cooperation between two Indonesian and Chinese institutions or for expanding knowledge of young Indonesian scientists when they conduct research in China from 6 months up to 1 year. Every young Indonesian scientist will receive ￥12,500 per month, with the maximum of 12 months, while they are working with the Chinese teams. More info on the TYSP could be searched http://tysp.cstec.org.cn/en. Furthermore, Mr. Ge Pu also referred to statement from HE President Xi Jinping, during the opening ceremony of the Belt and Road Forum for International cooperation dated on May 14th, 2017, which stated that the PR China would like to enhance the existing of STHE cooperation with all International partners, based on the Science and Technology People-to-People Exchange Initiative, which is in the upcoming 5 (five) years, 2,500 young International scientists are invited to PR China for conducting a short term research (6 month – 1 year). In addition, PR China will also conduct training programs for 5,000 foreign scientists, engineers and managers, and setting up 50 (fifty) joint laboratories in all over the world. On October 17-18, 2017, the Directorate General of America and Europe, the Ministry of Foreign Affairs, HE Ambassador Mohamad Anshor and the Belarusian Deputy Minister of Foreign Affairs of the Republic of Belarus, HE Andrei Dapkiunas, chaired the Sixth Session of the Intergovernmental Belarusian-Indonesian Joint Commission on Trade, Economic, Scientific and Technical Cooperation in Hermitage Hotel Jakarta 17 October 2017. Referring to the meeting, Indonesia and Belarusia agreed to intensify trade, economic and investment cooperation between the countries and discussed. (iv) working more closely with the Indonesian Ministry of Agriculture of Indonesia, following agreement/meeting on October 10, 2017, in order to issue permits for the supply of milk products from the enterprises of the JSC «Savushkin product», located in the Belarusian cities of Brest and Pinsk. It was also decided at the Joint Commission to set up working groups on cooperation in the fields of industry and agriculture. 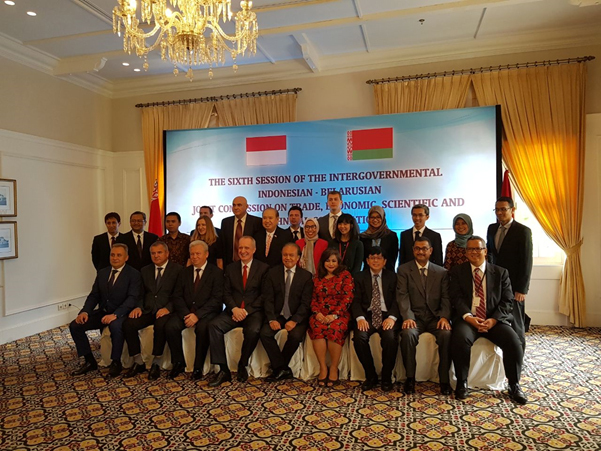 (v) Encouraging the bilateral cooperation on science and technology cooperation, welcoming the second meeting of the Belarusian-Indonesian Joint Working Group (JWG) on Cooperation in the Field of Science, Technology and Higher Education around 16-18 November 2017 in Minsk, Belarus. Especially on the Science and Technology Cooperation, Nada Marsudi explained the chronology of the MoU on Scientific and Technological Cooperation RI-Belarus, which was signed on March 19th, 2013. 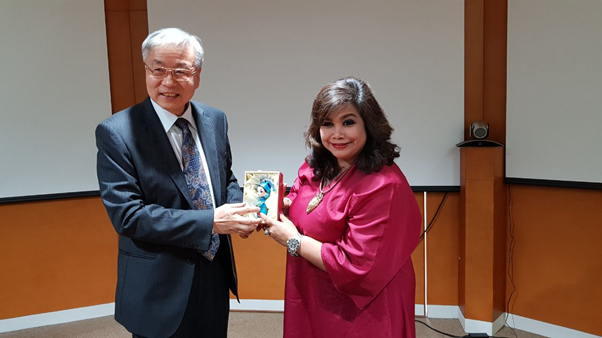 She also informed the Meeting that the Ministry of Research Technology and Higher Education (MoRTHE) Indonesia hosted the 1st Indonesian-Belarus Joint Working Group (JWG) Meeting on Science, Technology (and Higher Education) on 15-16 December 2015. (x) Social Science and Humanism. (ii) Agreement on Training Engineering and Specialists. The last agreement will support the vocational higher education program of the Indonesian MoRTHE. PT Surveyor Indonesia akan membangun laboratorium terpadu, salah satunya untuk pengkajian pelumas. Direktur Utama Surveyor Indonesia M. Arif Zainuddin mengatakan, hal tersebut dilakukan dalam upaya meningkatkan mutu terhadap konsumen. Laboratorium ini akan didirikan di Jawa Barat, tepatnya di wilayah Sentul. “Ke depan, kami pun akan membangun Laboratorium Pengujian Pelumas dalam meningkatkan mutu terhadap komoditas kebutuhan konsumen. PT Surveyor Indonesia akan mengembangkan uji terkait mutu SNI pelumas dimana terdapat banyak varian pelumas yang beredar di pasaran,” ujar Arif di Kementerian BUMN, Selasa (7/11/2017). Terkait dengan dana, M. Arif Zainuddin menjelaskan, pihaknya tengah menganggarkan kurang lebih sekitar Rp53,7 miliar. Dana tersebut akan digunakan sebagai pengadaan alat seperti mesin dan proyek pembangunan laboratorium. “Investasi laboratorium terpadu yang sudah pasti sekitar Rp45 miliar untuk mesin dan peralatan di luar tanah dan bangunan. Tapi, jika termasuk tanah dan bangunan total Rp53,7 miliar,” paparnya. Arif juga mengatakan, laboratorium terpadu yang akan dibangun di kawasan tersebut tidak hanya pengkajian pelumas. Tetapi juga terdapat laboratorium seperti ban dan velg, laboratorium emas, laboratorium lingkungan, dan laboratorium baja. Total investasi untuk keseluruhan pengadaan laboratorium tersebut sekitar Rp69,2 miliar. Dengan rincian laboratorium pengujian pelumas Rp53,7 miliar, laboratorium mesin velg dan ban sebesar Rp3 miliar, laboratorium pengujian baja dan peralatan mesin Rp1 miliar, laboratorium penelitian lingkungan Rp3 miliar, dan laboratorium emas senilai Rp8,5 miliar. Arif mengatakan, pembangunan laboratorium ini diharapkan mampu menunjang kinerja perusahaan di masa yang akan datang. Pengadaan gedung secara keseluruhan diprediksi selesai akhir tahun, yakni adalah laboratorium pelumas, emas, dan lingkungan. Sementara yang lain, masih membutuhkan standar dan akreditasi tertentu. “Ini akan jadi laboratorium terpadu, yang lain tersebar sesuai permintaan. Sekarang gedung baru kita bangun dan mesin dalam proses pengadaan. Yang pasti siap untuk operasi laboratorium pelumas, emas, lingkungan. Kalau velg dan baja ini di tahun depan pelaksanaan,” pungkasnya. (CNN) Elements 113, 115, 117 and 118 have formally been recognized by the International Union of Pure and Applied Chemistry (IUPAC), the U.S.-based world authority on chemistry. 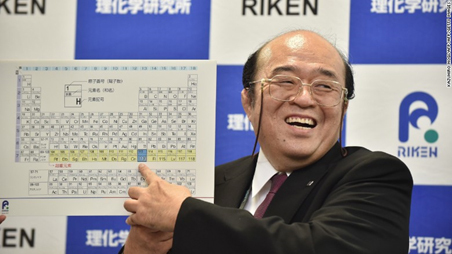 The organization’s announcement on December 30 means the seventh row of the periodic table is finally complete. It’s the first time the table has been updated since 2011, when elements 114 (Flerovium) and 116 (Livermorium) were added. Devised by Russian chemist Dmitri Mendeleev in 1869, the table categorizes chemical elements according to their atomic number. “The chemistry community is eager to see its most cherished table finally being completed down to the seventh row,” said Jan Reedijk, president of the Inorganic Chemistry Division of IUPAC, in a statement. A Russian-American team at the Joint Institute for Nuclear Research in Dubna and Lawrence Livermore National Laboratory in California discovered elements 115, 117 and 118, while Japanese researchers were credited for discovering element 113. All four elements are not found in nature, and were synthetically created in laboratories. Until now, these elements had temporary names and symbols on the periodic table as their existence was hard to prove. Since they decay extremely quickly, scientists found it difficult to reproduce them more than once. Japanese researchers said their search for element 113 began by “bombarding a thin layer of bismuth with zinc ions travelling at about 10% the speed of light.” By doing so, they would theoretically fuse, forming an atom of element 113. “For over seven years we continued to search for data conclusively identifying element 113, but we just never saw another event. I was not prepared to give up, however, as I believed that one day, if we persevered, luck would fall upon us again,” said Kosuke Morita, the lead researcher at Japan’s RIKEN group. With the discovery process now over, researchers have another tricky task at hand: coming up with permanent names and symbols for the elements. According to the IUPAC, new elements can be named after a mythological concept, a mineral, a place or country, a property or a scientist. After the proposed names are submitted, they will be open for public review for five months before the organization makes a final decision.